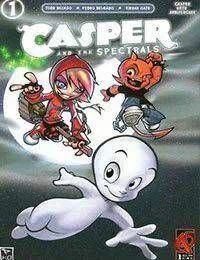 Just in time for Caspers 60th anniversary, Ardden Entertainment proudly debuts Casper And The Supernaturals, an all-new take on the worlds most famous ghost and his two friends, Wendy the Witch and Hot Stuff! There is a city within New York City known as Spooky Town, but most humans are unable to see it. Within this city live the Supernaturals, the ghosts, goblins, demons and witches of the world. When an ancient entity known only as the Volbragg threatens both New York and Spooky Town, Casper and his friends are forced to band together and defeat an unimaginable evil!